Driving the news: The partial government shutdown has left the areas open to visitors but with little staff on duty. 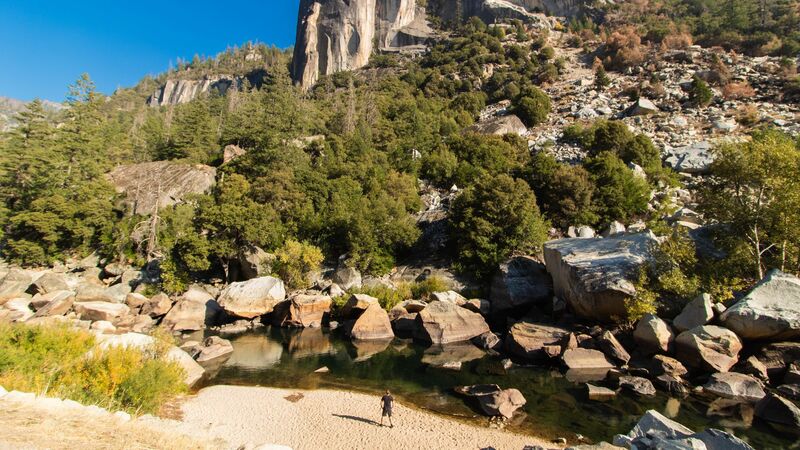 "It's a free-for-all," Dakota Snider, 24, who lives and works in Yosemite Valley, said, as Yosemite National Park officials announced closings of some minimally supervised campgrounds and public areas. Why it matters: Unlike shutdowns in some previous administrations, the Trump administration was leaving parks open to visitors. "It's really a nightmare scenario," said John Garder, senior budget director of the nonprofit National Parks Conservation Association. "We’re afraid that we’re going to start seeing significant damage to the natural resources in parks and potentially to historic and other cultural artifacts." Spotted: "In Sequoia, home to [California's] ancient giant sequoias, General Highway was closed because overflowing trash bins were spreading litter and posed a threat to wildlife." "[T]he icy, jammed roadway was seeing up to three-hour delays." "Campers at Joshua Tree National Park in Southern California's deserts were reporting squabbles as different families laid claims to sites, with no rangers on hand to adjudicate." "Some visitors have strung Christmas lights in the twisting Joshua trees, many of which are hundreds of years old." "At Yosemite, ... crowds of visitors were driving into the park to take advantage of free admission." "Visitors were allowing their dogs to run off-leash in an area rich with bears and other wildlife, and scattering bags of garbage along the roads." "In Yellowstone National Park, private companies have picked up some of the maintenance normally done by federal workers." "The contractors that operate park tours by snowmobile, buses and vans are grooming trails, hauling trash and replacing toilet paper at pit toilets and restrooms along their routes."